As we celebrate the accomplishments of 2018 and look ahead to the New Year, PRAG Realtors wants to thank all of our clients, friends, and colleagues for a fantastic, productive year. Many long terms goals were achieved: The redesign of our online presence at pragrealtors.com, the launch of our new Gateway to Success Agent Development program, hundreds of first-time homebuyers were educated at our seminars, newly licensed agents closing their first deals…and so much more. None of it could have happened without your support and trust in us to provide the best possible service to you. 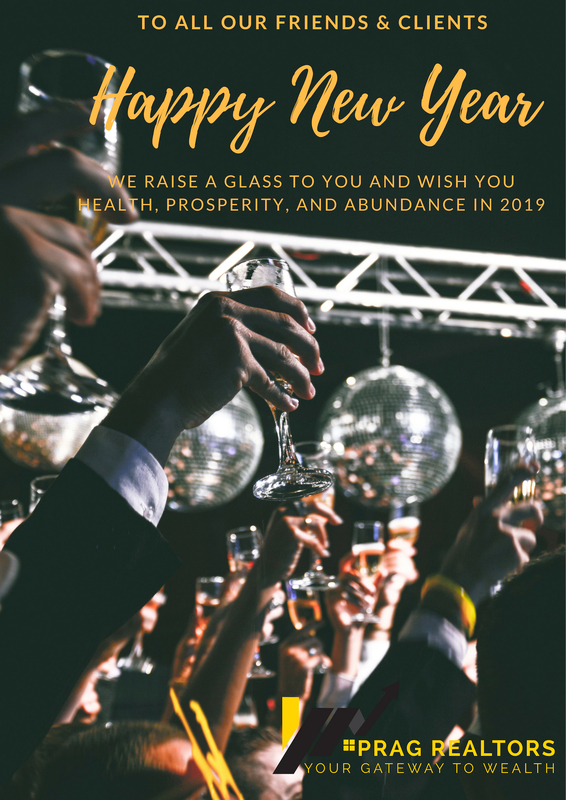 We truly appreciate you and wish you health, prosperity and abundance in 2019. We look forward to serving and working with you in the New Year. Making a big career change often means taking risks and launching into uncharted territory. 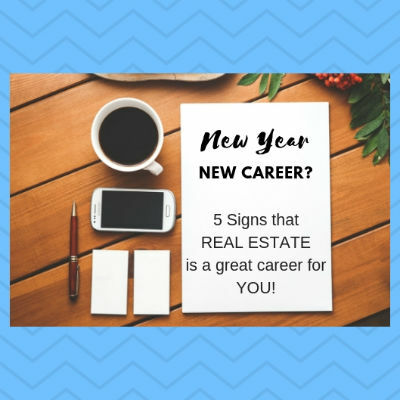 If you’re tired of your current career path, looking for something with better earning potential, have a desire to go into business for yourself, or are looking to begin a second career after retiring from a successful first one, we have identified 5 factors that might suggest Real Estate is a great choice for you. You’re ready for a change. Only you can decide if now is the time. If so…read on! You’ve always been interested in working in real estate. Do you notice home structures, current real estate trends in your neighborhood, or take interest in potential investment opportunities? These are hints that a career in real estate would be satisfying. You are in a prime area for buying and selling property. It goes without saying that South Florida has and will indefinitely be a PRIME real state market. Inventory is holding steady and the amount of movement into the state continues to grow. You have a killer work ethic and are dedicated to your own success. In real estate, your earnings potential is limited only by the amount of work, effort and dedication you put in. Sure, you can do it part time, but the most successful top-producing agents put in time, energy and are continually self-educating. Can you commit to this? You have the resources to sustain you through the career change. If you don’t sell homes, you don’t get paid. It can often be more than a month or two between sales in the beginning of your career. If you can plan wisely to make sure you can ride out these lean times as you’re growing your book of business, you will be one step ahead of many people that struggle as they start their career in the industry. If you “made the grade” above…why not actually check out what it takes to become an agent? PRAG Realtors has made it easy by teaming up with Gold Coast Schools to offer a discount on pre-licensing courses. Click here to download the Gold Coast Schools PDF with pricing and details. Once you’re licensed, PRAG Realtors offers a competitive Tuition Reimbursement program for newly licensed agents. Already an agent who wants to explore the benefits of the PRAG Realtors Gateway to Success Agent Development program? Click here to contact us for a confidential interview.